When Cardi B became the first woman to win the Grammy award for Best Rap album she also picked up the award fans of the late Mac Miller would earn posthumously. This is why fans of his ex-girlfriend Ariana Grande believed a tweet she published at the time of Cardi’s win was directed to the ‘Bodak Yellow’ rapper as a diss. She has now revealed that it wasn’t. Fans believed this was directed at Cardi. Ariana was keen to clear up the confusion as Cardi fans pelted her with insults. nothing to do w (with) her. good for her. i promise. i’m sorry. 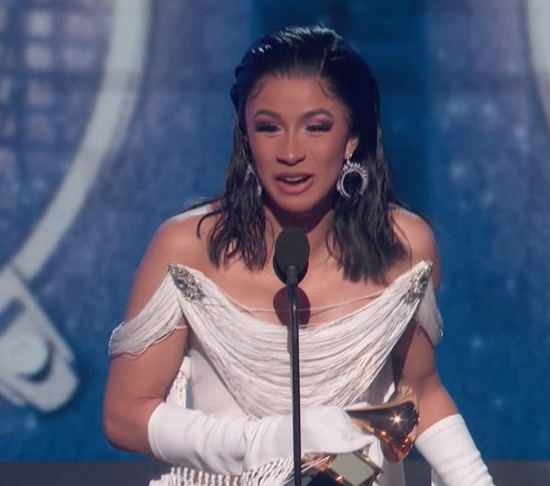 Hit this link to watch Cardi’s history-making moment.